Your most important consideration is the installation, even over the brand of equipment. The installation crew, Steve and Eric, did a great job and were super easy to work with. It’s good to know that there are still crafts people who take great pride in their work and it shows in the end result. My AIR Conditioning compressor was destroyed by Hurricane Irma. John assessed the damage, coils bent, refrigerant gone. John took detail pictures and wrote up a detailed repair estimate. The unit was not repairable, advised to replace whole system. Bill came to my house and spent well over an hour explaining my options and making sure it met my personal needs. The crew spent a day doing the work. Very professional. I appreciated the time this company spent explaining to me what they were doing and why. I had another company come out they called me said you need a new unit it will cost X amount of dollars I can schedule the work. We were in the aftermath of a Hurricane but I am happy that I chose Ellington for a second opinion, for the attentive customer service I received and the piece of mind that I made an educated decision. 23% of systems were not properly charged with refrigerant, resulting in 52% efficiency loss. Your 20mpg unit is now a 10mpg unit. Without proper filtration, air flow can be reduced by more than 30% over time. Capacity can be reduced by 12%. 90% of units tested exhibited some sort of energy-wasting and comfort-robbing problem. Be leery of a contractor who bases estimates merely on house size or vague rules of thumb. The most valued reporting agency on the planet. 1. All contractors should perform a cooling load calculation. 2. Duct sizing and energy loss through ducts should be inspected. Leaky or inefficient ducts can reduce system SEER rating considerably. installation affects the system performance more than equipment brand. Below on the left side are two examples of poorly installed systems by local contractors. These contractors would not fix their mistakes and left the homeowners with systems that never functioned properly. On the right, you’ll see how Ellington Air Conditioning & Heat reinstalled the same equipment to the manufacturer’s specifications, saving the homeowners significant energy dollars each month. The jobs were completed professionally and neatly with minimum disruption to the homeowner. 1. Due to poor installation, the copper lines will prevent the removal of the evaporator fan motor. Copper lines, once installed, cannot be moved unless they are removed and reinstalled. 2. Customer purchased a 16 MPG system but this system was only performing at approximately a 10 MPG rating due to air flow problems. 3. Air cleaner was improperly installed, leaving only 4” of space off the ground for the air to return into the unit. Leaving ONLY 4” for the return air is not adequate for proper air flow to the system. Manufacturers require 16” as a MINIMUM for air flow space. 4. Live electrical wiring was left exposed by the installing contractor. 1. Repaired electrical by relocating and bringing everything up to code. 2. Caulked doors to prevent air leaks and / or intrusion. Ran lines to allow removal of internal parts and repairs. 3. Properly installed float switch and insulated drain line for proper drainage. 4. Installed unit at proper height for increased air flow. 1. Doors were not properly sealed and caulked. Safety switch was improperly installed to run downhill. 2. Live 115 volt wires left exposed and hanging. 4. Customer was left with a gaping hole and a very poor attempt at drywall repair. 1. Copper lines were properly routed for access. 2. Repaired drywall and sealed gap that original installing contractor made. NOTE: All live wires were properly secured and repaired in the wall. 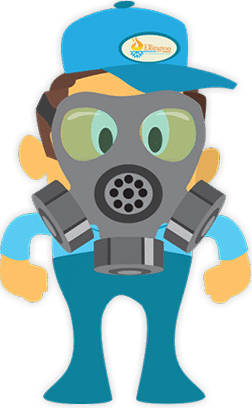 Many of these contaminants are circulated through the central air systems in modern homes and can aggravate asthma and allergies. How Does Your IAQ Rate? Did you know the air in your home can contain 10 times more particles than air outside? Have you ever noticed how much dirt “slips past” your 1 inch filter? Is it important to you that your unit remains running as efficiently as when you bought it? Do you cook much in your home? Do you have pets? Are you aware there are air sanitizers that help break down those cooking smells and pet odors? High efficiency media air cleaner creates a “magnetic field” in the ductwork capturing dangerous airborne particles. Ultraviolet lights help stop bacteria, mold and mildew at their source, providing cleaner, healthier air for your family. The UV light produces peroxide. This is just like sanitizing a cut and cleaning germs. They also help keep your system clean and in like-new condition. is unlike anything else out there. There may be more in your home than you know. In fact, the air inside your home can be up to 10 times more polluted than the air outside. While today’s better-insulated homes do a great job of keeping out the elements, they also hold in airborne particles that can aggravate breathing difficulties. Trane CleanEffects provides technologically advanced cleaning, and amazingly enhanced air. Provides up to 100 times more effective cleaning than a standard 1” filter. Reduces your need to dust by up to 50%. Unit performance verified by leading experts at the Harvard School of Public Health. If your home is between 5 to 10 years old, you likely have one of the 46 million under-insulated homes in the U.S. * While we are in your attic, we can add insulation to meet the recommended guidelines, and you can start enjoying more comfort and savings right away. Owens Corning makes high quality specially designed for attics, including EcoTouch® insulation with PureFiber® Technology. It’s made with 99% natural materials and nearly twice the recycled content of other brands. With trusted insulating systems, air sealing, moisture management and sustainable building science, Owens Corning makes it possible to enjoy Complete Energy Performance in your home. Call us today to let our family of air conditioning repair experts in Merritt Island, Florida, keep you comfortable. We realize that most homeowners’ biggest fear is that a contractor working in their home will damage or destroy the work area. 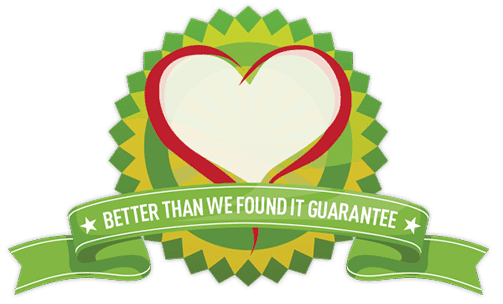 Because of the quality of our installation teams, we can guarantee that we will leave your home BETTER than we found it or we will pay a cleaning service to clean your entire home. Ellington Air Conditioning & Heat is here for you after the sale as well. In a day and time when providing excuses, delays, and transferring you to 10 people has become the “norm,” we take a decidedly different path. Our “No Worries Program” is simply just that: no more worries. An important, often overlooked fact is that your new high efficiency system requires maintenance to not only uphold its factory warranty, but also to ensure it delivers the high efficiency you purchased for years to come. Our No Worries Program is only available at the time of purchase of a new system. With a monthly enrollment, we cover all aspects of the installation and equipment at no additional costs to you. No deductibles, no service call fees, no overtime charges, no repair fees, and no maintenance fees; it’s all included at no additional cost to you in the event of a breakdown over the next 10 years. You don’t even have to call us to schedule maintenance, we take care of that too! 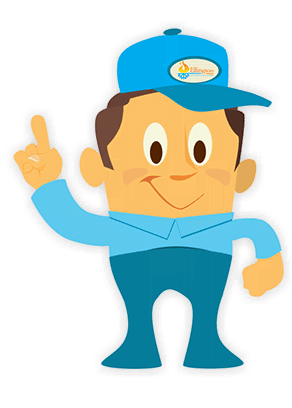 Ellington Air Conditioning & Heat provides a full range of HVAC services to homeowners in Melbourne, Merritt Island, Titusville, Port St. John, Palm Shores, Satellite Beach, Palm Bay, Marathon, Key West, (Middle and Lower Keys), and the surrounding areas.